Dana (right) celebrates with her family at the launch of her new book. Jesus Loves Me by Dana Gruben and Ben Boland fills a big gap that has really needed to be filled! It is an attractively-presented, short book, designed specifically for people living with dementia – particularly for those who have had some Christian experience in the past and can draw upon long memories of well-known Scripture passages, traditional hymns and prayers. The clear, simple text and colourful images will provide tremendous reassurance for many believers and may also be a means of enabling others outside the family of God to grasp the reality of God’s love for them. It will be a very usable resource, particularly for families who are struggling to give appropriate spiritual encouragement to an older relative with a dementia diagnosis who has been a believer, but now appears to be unable to express or draw upon an active faith. Others, who are unsure what to say or how to give Christian support to a friend with dementia, will really appreciate having it. Health professionals, chaplains and pastoral care workers engaging with people with dementia will also find this book to be a most helpful resource – perhaps to read aloud, and even sing, to someone with dementia. I am looking forward to reading the other books in this excellent series ‘Faith for Life: Biblical Resources for People Living with Dementia’. 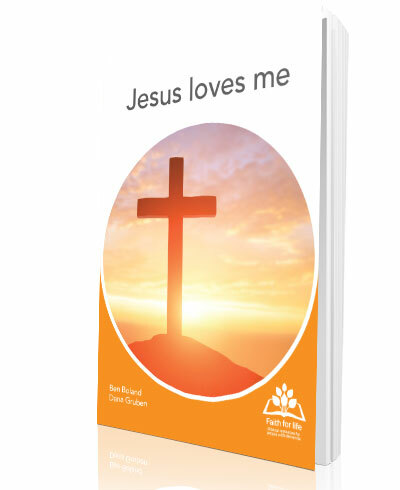 This first book, Jesus Loves Me, can now be purchased from Koorong Books or directly from www.faithforlife.com.au.